AT&T, General Electric, IBM, Verizon Communications, and other large enterprises are actively engaging in IIoT and helping companies, big and small, implement IIoT on their own, as part of a general embrace in the Internet of Things construct, according to industry analysts and executives. But connectivity, and all that it brings, comes at a price. This falls into the realm of predictive maintenance, which has become one of the hot growth drivers for IIoT. 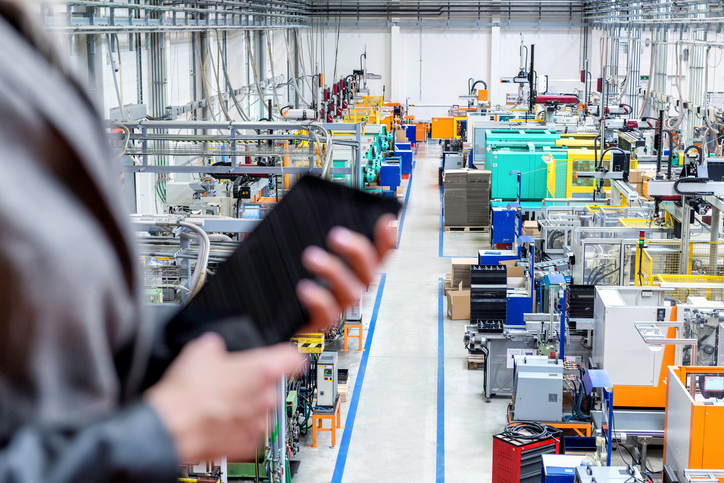 Manufacturers are tying their programmable logic controllers into operational technology legacy systems, providing a point of convergence for these two worlds. The good and bad of this convergence is that it depends on the Internet to be effective. That makes it easy to set up and move data, but it also greatly increases security risks. Until recently most industrial operations relied almost exclusively on perimeter security. Many of them still do. In effect, that provides a well-guarded entry point into a physical industrial operation as well as its data. But when machinery—especially a control system—is connected to the Internet, that approach falls apart. There is no simple formula for making this work because every industrial operation is different. This is easier said than done, however. So just how many attacks are there? It’s difficult to tell. Metrics are generally based on how many instances there are of known malware installers. Lee said the number is probably about 3,000 per year. But the sources of those attacks may be more widespread than one might expect because each region has a different signature. Once each is identified, companies can find traces of hackers from those regions, but they generally have to be looking for them. So while Russian and Chinese hackers are considered the culprits in the United States and Europe, those are the ones that have been identified. India, meanwhile, has focused on Pakistani hackers, which may or may not have attacked companies in the United States and Europe. One of the reasons security has become such a big issue for the IIoT is that the data within these companies is extremely valuable and highly exposed. While industrial data has always been valuable, illicitly tapping into it generally required someone to be physically present. The IIoT changes that equation. In some highly competitive industries, such as petrochemicals, security is considered a requirement. In other slices of the IIoT, there is huge resistance to paying for security because it has never been included in the budget. And making matters much worse, the most successful attacks in the IIoT go unnoticed. Despite security issues, though, there are distinct advantages to connectivity. It allows companies to see how equipment is being used and updated, and it allows them to improve uptime through predictive analytics about failures. On top of that, there are enough success stories that companies see this as a necessary step to remaining competitive. • OASIS’ MQTT v3.1.1. Many of the Cloud vendors, such as IBM, Microsoft, and Amazon have adopted MQTT as the lightweight messaging protocol for their IoT Cloud. MQTT is gaining much popularity because of its simplicity and ubiquity. MQTT is small enough to run on a tiny Arduino board and powerful enough to support large IIoT device installations. • The Linux Foundation just announced the launch of EdgeX Foundry. According to the website, “It’s an open-source project to build a common open framework for Internet of Things (IoT) edge computing and an ecosystem of interoperable components that unifies the marketplace and accelerates enterprise and Industrial IoT.” This will be interesting because the group focuses on the edge vs. the whole IIoT stack. Once connected, companies need to learn how to communicate and handle machine data. This is where connectivity standards play a crucial role. “If you choose proprietary communication protocols it can lock you out of leveraging a wider array of platforms and flexible device management options,” Arkell noted. “In IIoT, one organization may own the industrial device, but many organizations have access to different systems in that device. This needs to be modeled and addressed when designing authorization and permission frameworks. Assuming IIoT connectivity is the means to delivering sensor data, the biggest challenge then becomes how to architect for analytics. Analytics can happen at many points in an IIoT architecture because there are many architectural tiers from which machine data travels (from device to cloud). The success of IIoT analytics won’t be dumping data to the cloud and analyzing it. It will be the combination of real-time edge and cloud analytics working in harmony. Edge analytics is one of the newer technologies for IIoT. This is because the processing power at the edge (gateway and device) is now capable of handling analytics and maybe even more importantly, required to make real-time decisions at the point of data ingestion. Another impediment to IIoT adoption is market fragmentation. There are few vendors offering end-to-end solutions, and even those solutions are not equal from one market to the next. On top of that, some of these industrial operations were set up as much as a century ago. Each is unique, and data formats that have been added into those systems vary greatly. Experts at the table, part 2: Mirai, Shodan, and where the holes are in security; establishing a chain of trust from a solid root; how to future-proof security. ARM CTO Mike Muller discusses how markets and technology are changing in a very candid one-on-one interview. I have a couple of questions about the article that I was wondering if you could clarify. systems. What is the point of convergence you are referring to? ICS an industrial control system? Or did he mean something else? questions for an otherwise very clear and insightful piece.